I have two navel oranges sitting on my counter right now. They’ve been there for a couple days and as I was debating what cocktail to feature this week they popped in to my view. Orange juice is such a wonderful ingredient yet none of the cocktails we’ve covered so far have included it. So I went searching. The cocktail that first popped in to my head was the Blood and Sand, which upon further research I decided is exactly what I’m looking for. For the past several weeks I’ve been wanting to feature a cocktail with Scotch at its base. The Blood and Sand is perfect! It fulfills my desires for both a Scotch based cocktail and one that features orange juice. 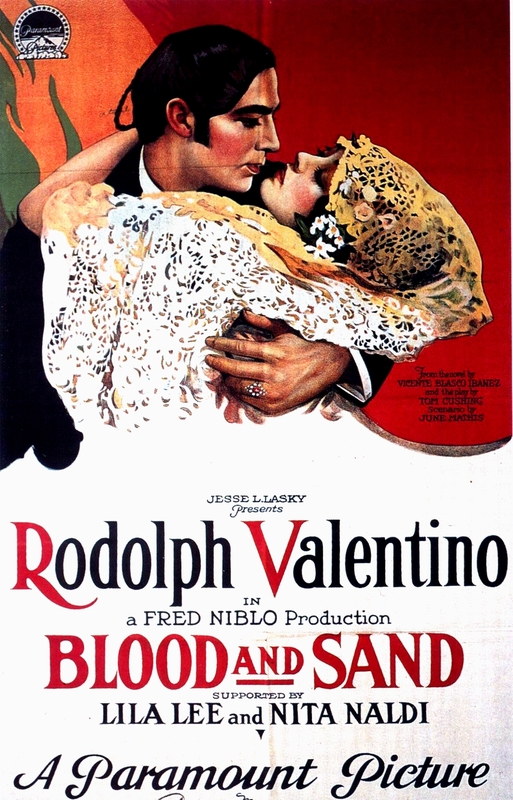 The drink is named after the 1922 Rudolph Valentino movie by the same name, which was in turned named after the 1909 novel. Not having seen the movie(s) or read the book, I can’t tell you why the name is appropriate. My guess is that it’s because of the cocktail’s muted red color. Where the sand comes in to play I leave up to your imagination. The cocktail was first published in the 1930 version of the Savoy Cocktail Book. I’ll use this classic recipe as my jumping off point for the week. A superb cocktail. My tip is use the peatiest, smokiest whiskey you’re willing to sacrifice in a mixed drink. If you prefer your drinks a little less sweet, try reducing the cherry brandy by half and replacing it with cointreau or another orange liqueur and adding a few drops of orange bitters.